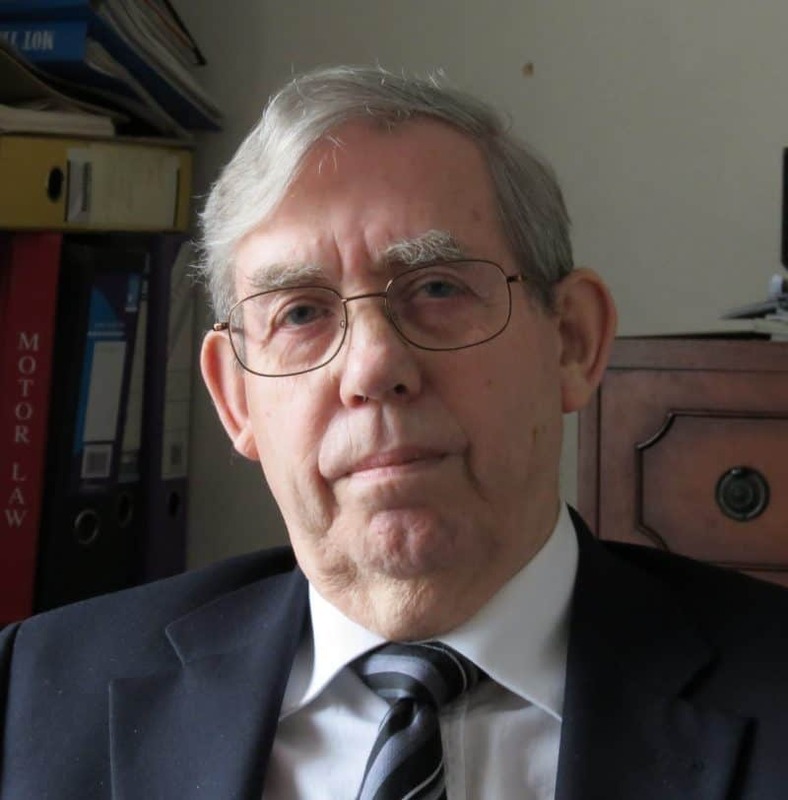 For starters here there’s an important disclaimer; when considering equipment finance, we strongly advise anybody embarking on any kind of legal arrangement with respect to raising finance from a third party, to obtain specialised advice from a qualified professional accountant before deciding which path to take, and to consult your solicitor before signing any legally binding document. This is important because such professional practitioners, will have ‘professional indemnity insurance’ which means if you lose money because you’ve been wrongly advised, and can prove it, then the person providing that advice is covered by that insurance policy for any costs you have incurred through acting on that bad advice. Remember too, however, that your accountants are not necessarily specialised in investment advice – their advice will be general in its nature, pointing out any likely pitfalls, and, another important point, how your plans are likely to affect your specific tax situation. Whichever path you take to obtain the appropriate finance for your business and whatever it’s for, you are in effect borrowing money from a third party. Whether it’s a form of leasing, a bank loan or some other borrowing arrangement. Whoever provides the money will almost certainly need either some form of asset (perhaps your house) that you put up as security which is forfeit on default of payments, or you will be asked to sign a ‘personal guarantee’ that if the company defaults (if it’s a limited company), the lender then has the legal right to demand the money from you personally – again potentially putting your house, if that’s your main personal asset, at risk. So it is important to consider the situation very carefully and obtain that professional advice before committing yourself to obtaining funding for use in the business. 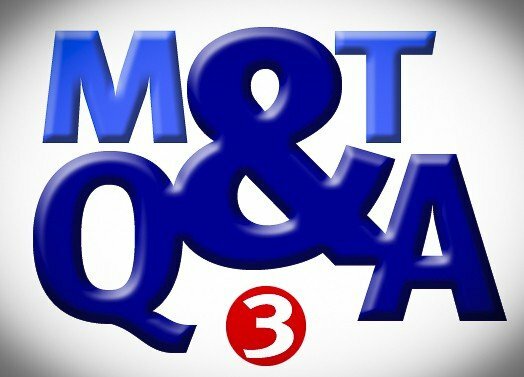 You will need to make an informed ‘risk assessment’ of the venture you are proposing to embark on, balancing the benefit to the business against the personal risk you may have to take by raising the finance needed, and that needs to be an ‘informed’ process – hence that professional advice. Working Capital: This is the money needed to support the company’s ups and downs of cash flow – often caused by seasonal fluctuation of sales. 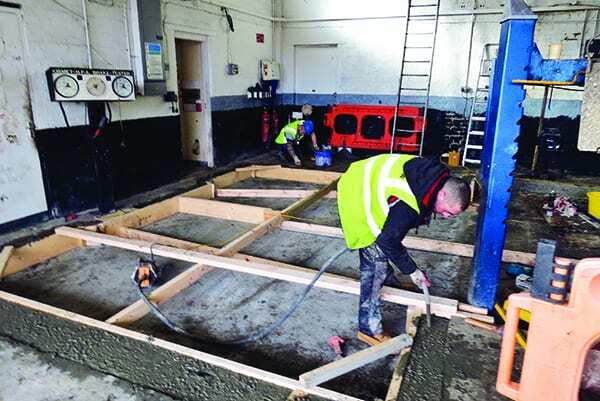 Capital investment: This can be for equipment or perhaps to build or purchase a new building. Commercial development: This could be the acquisition of another business to expand the operation, or a major marketing project to fund business growth. All of these must be set against the key business objectives of first ensuring the business’s survival, then securing profitability and ultimately growing the business whilst maintaining profitability. 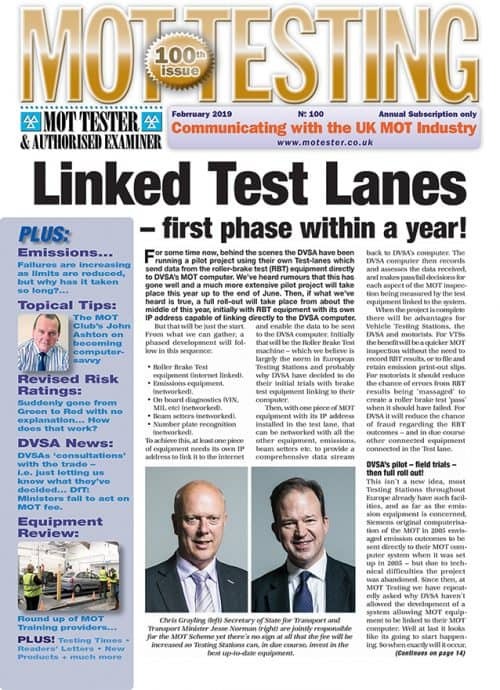 When the cost of the ‘ground-works’ are included, installing a new ATL or OPTL can be very expensive, and some form of financing may be needed – making an informed choice as to how the project is funded is a vital part of the process. Having adequate ‘working capital’ is a key aspect of business survival. Even a profitable business can fail if there’s not enough money to pay the bills. Businesses can be short of cash for any number of reasons, although by and large it is likely to occur when customers don’t pay promptly, but suppliers demand early payment. This disparity ties up money, so called ‘working capital’. 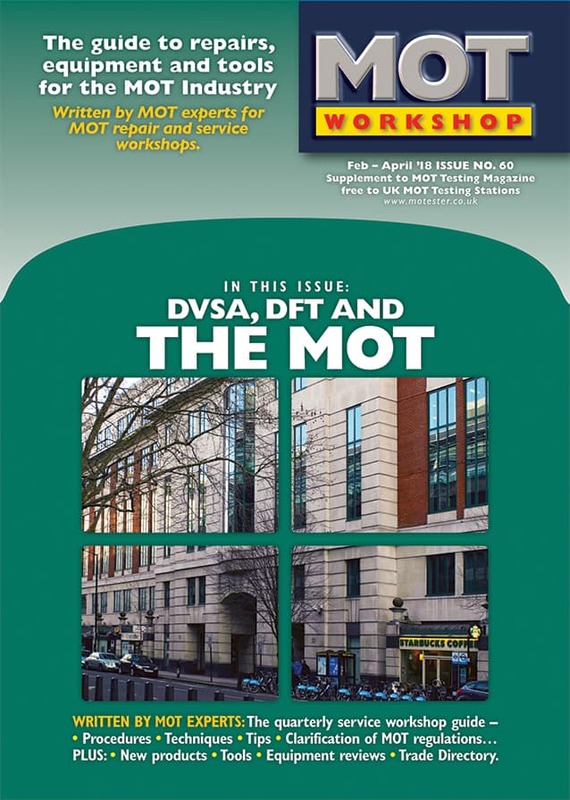 Another reason could be seasonality – and we all know that things can get tight over Christmas when it comes to MOT Testing, as well as vehicle service and repair income. 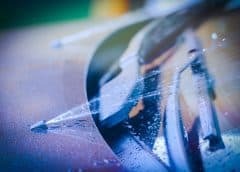 In our industry liquidity problems are most likely to occur if you have commercial customers who have credit accounts with you, but don’t pay promptly. As readers are probably aware, having a bank overdraft can smooth the inevitable troughs in the creditor/debtor payment cycle. Don’t forget though, most bank ‘overdraft’ facilities can suddenly be withdrawn by your bank at very short notice – so it’s worth having a ‘back-up’ plan in the back of your mind! Another alternative way of dealing with difficulties covering ‘working capital’, is to ‘factor’ your debtor account – that’s the money owed to you by your customers. A finance company will promptly pay you the money your customers owe, taking a cut for themselves, and then collect those debts directly from your customers. Such arrangements can be somewhat complex and have some tricky ‘hidden’ clauses. Normally, for example, they’ll want you to factor all of your regular invoices – even those to prompt payers! So make sure you get that professional expert advice both legal and financial if you enter into a ‘debt factoring’ contract so you fully understand all the implications. And check how the factoring company operates. The last thing you want is them, ‘strong arming’ your customers for payment! 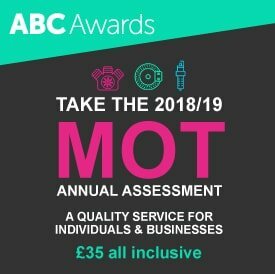 Whether you need a new smoke meter, or have decided to install an automated MOT Test lane, additional funding will be required. Sometimes, if your cash flow situation is especially good, it may be better to use that surplus cash to fund your new investment project. 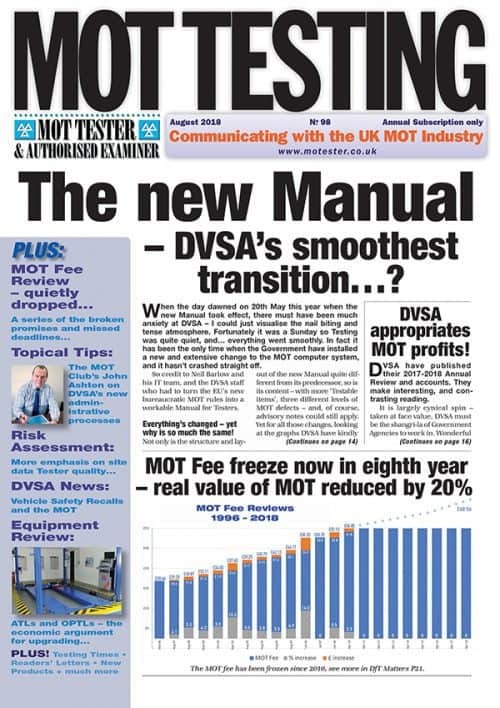 If, however, you are tempted by the equipment supplier telling you that leasing a new ATL only costs a couple of MOTs or so a week, check things out more closely. 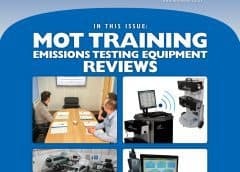 There are numerous options as to how best to fund the acquisition of new equipment, but before entering into any arrangement it pays to try and project how much extra net income the new piece of equipment is going to earn – will it be ‘cost beneficial’? 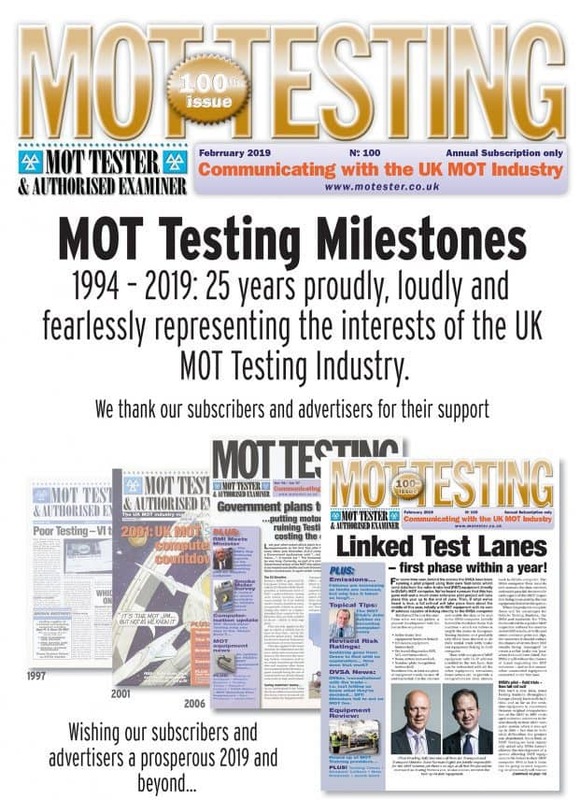 As we are considering Automated and One-Person Test lanes in our product review for the current edition of MOT Testing magazine, let’s imagine you’ve decided to invest in a new ATL and that you’ve decided to either borrow the money to finance it, set up some form of leasing agreement, or maybe enter into a form of ‘hire purchase’ arrangement for its purchase. 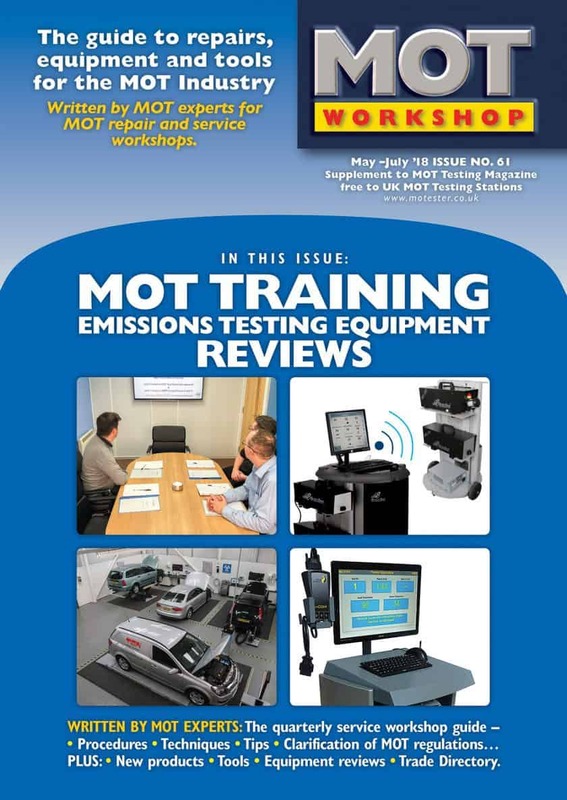 Whilst the equipment itself may not necessarily speed up MOT Testing, its use may release a member of staff to earn money in the workshop rather than assisting with MOT Testing. Try and estimate how much extra income will be generated – and compare that to the cost of borrowing – and check with your accountant with respect to how the way you raise the money may affect your tax and cash flow situation. This is a more nebulous requirement for raising finance. You may have in mind a special kind of local marketing initiative which requires extensive and perhaps expensive promotional activity. Here your finance options are limited, but however you raise the finance you will need a detailed and plausible business plan which clearly indicates in some detail how the project will benefit the business financially – such a plan should also have a plausible ‘cash-flow’ projection so the lender is reassured that the payments supporting the finance are fully accounted for in the plan. For such projects a straightforward loan would normally apply – from the bank, or perhaps a private investor. 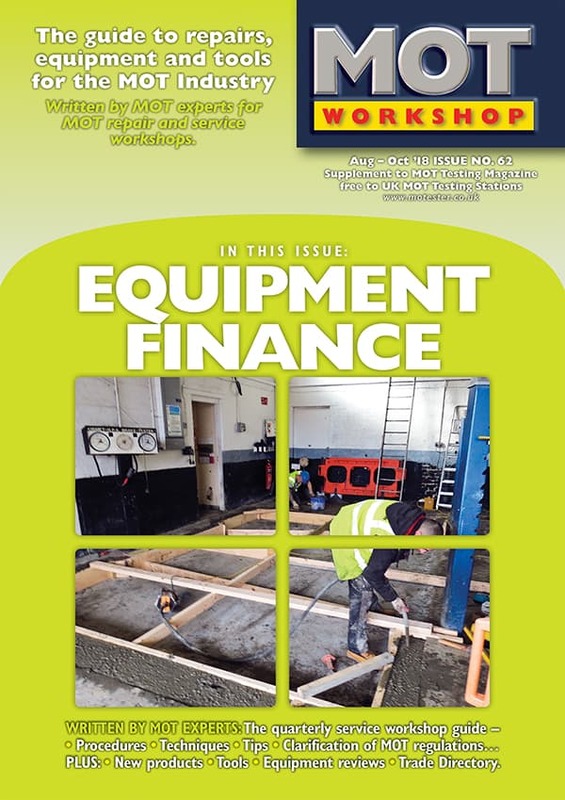 There are numerous ways in which money can be raised by a company to purchase equipment, with varying complexities as regards what you pay, and when you pay it – but simplistically if it comes to obtaining equipment there are just a few options. You either make an arrangement to borrow the money to ultimately buy and own the equipment, eg a bank loan/hire purchase – or you effectively rent the equipment through a leasing agreement but never get to own it outright – continuing to pay a small ‘peppercorn’ rent when the main substance of the initial deal comes to an end. Effectively the choice is between borrowing the money directly, some form of ‘Hire Purchase/bank loan’ or a leasing deal. Whichever of these paths you take there will be an interest rate you will pay, either for the benefit of using the money you’ve borrowed – or for the benefit of using equipment somebody else has paid for. It is important to fully understand whichever plans you are considering – so you can work out and compare the overall costs associated with the different options you are looking at and make an ‘informed’ decision. This is also where you may need some specialist professional advice to fully understand all the implications and complexities of financing plans on offer. Different banks and financing companies do not necessarily use the same terminology – so whatever ‘deal’ you are offered other than a straightforward bank loan, it is important to understand what that deal entails so be sure to look closely into the detail, and make sure you get professional advice both about the deal itself, and the legal details. A key issue is whether or not the company ends up owning the asset – this can have important tax implications. Generally any deal using the word ‘leasing’ means that the asset is not owned by the company – in technical terms its ‘off the balance sheet’. 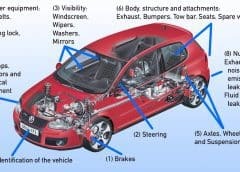 There are also ‘leasing’ deals with different variations, and some will even include full equipment maintenance over the term of the lease. On the other hand ‘hire purchase’ deals generally mean the company will probably end up owning the asset – ‘on the balance sheet’. These two alternatives have differing tax implications. If you own the asset your will be able to write down a proportion of it against tax each year. Whereas if you lease the equipment the payments can be set directly against your profit and loss account. Your accountant will advise you of which would be the most cost beneficial for your business at that time. It may also be important for the purchaser that any financing deal has a degree of flexibility. 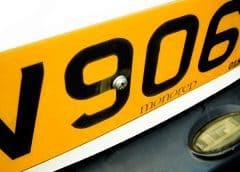 For example a leasing deal could have a fixed or variable rate, whilst a hire purchase arrangement may offer the chance of reducing monthly payments, but with a larger sum needed at the end of the deal – the so called ‘balloon’ payment. Finance companies are always inventing new kinds of financing deals – many offering surprising levels of flexibility on the payments – and sometimes such deals can be very complicated – making it difficult to fully assess the overall cost-benefit – so ask your accountant to have a good look at what’s on offer and explain it to you in practical detail before you make any commitment. What is the project’s viability? What risk is involved? Does the return from the investment justify the cost of borrowing and the degree of risk? Which type of funding is most appropriate? Talk to your accountant, do you need the asset to be ‘on’ or ‘off’ the balance sheet? What type of finance will be most ‘tax effective’ for your specific circumstances? What are the ‘cash flow’ implications? Will the increase in business that the use of the asset will provide to your profitability benefit or adversely affect your cash flow? Or if it is to save money, does that saving feed funds directly into your cash flow to justify the borrowing/repayment, or the required leasing payments? How long is the ‘payback’ period: when will the equipment being purchased, the marketing project etc, for which the financing is required, have paid for itself in terms of the total cost of the financial package? Professional advice: Do your own advisors, having assessed the risks, the costs and the benefits to the business, fully support your plans? If not, think again! 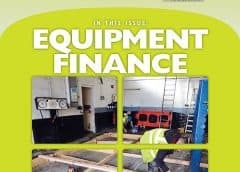 A key issue to bear in mind is that when you finance equipment, there is unlikely to be a link between the company providing the finance and the company supplying the equipment. 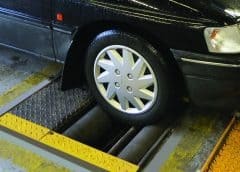 So if you have a warranty problem which you feel isn’t being dealt with correctly, stopping your payments, whether hire purchase or leasing, simply won’t work. 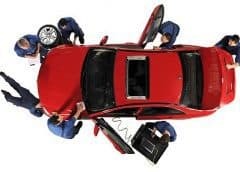 On the other hand, if your leasing agreement includes maintenance, calibration and servicing, as some do, then whether or not there’s a warranty issue should more easily be settled as the leasing company is probably paying the equipment supplier for the routine servicing and maintenance. 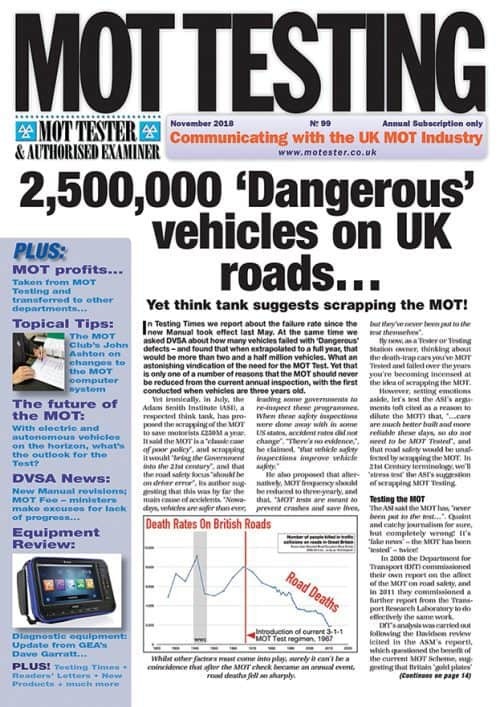 This article is reprinted from MOT Testing Magazine.